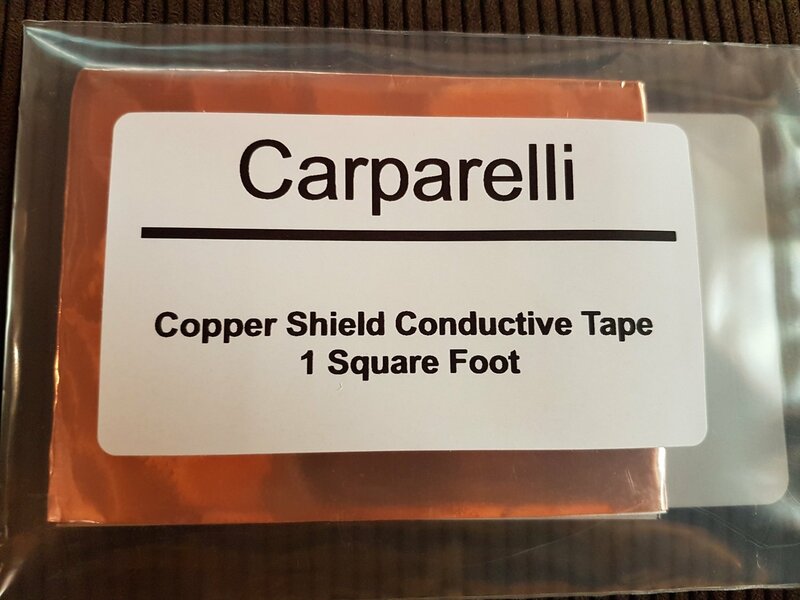 Copper shielding tape with conductive adhesive. Used in control cavities and under pick-guards to protect electrical components from external electromagnetic interference. Sold by the Square Foot: 2 Strips x 6" x 12"